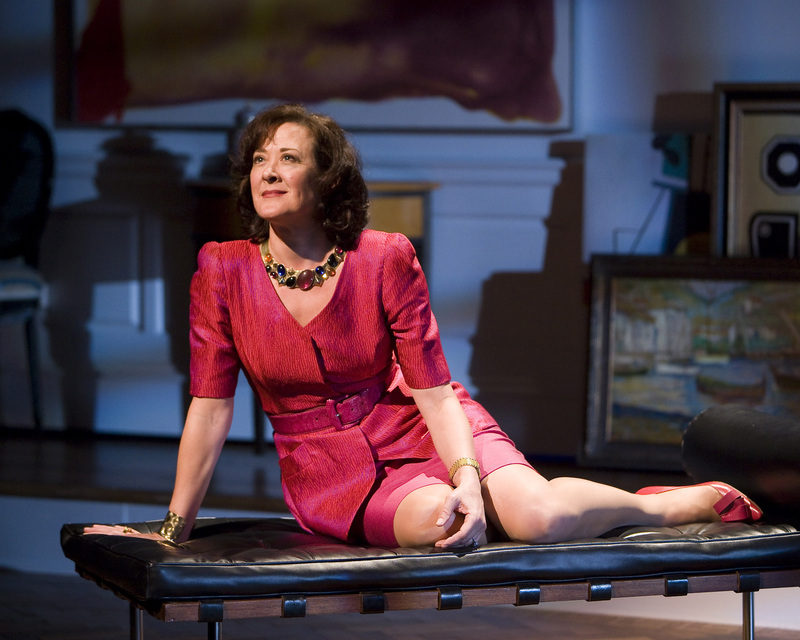 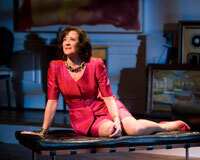 Karen Ziemba as “Ouisa” in The Old Globe’s production of Six Degrees of Separation by John Guare, directed by Trip Cullman, playing in the Old Globe Theatre January 10 – February 15; photo by Craig Schwartz. 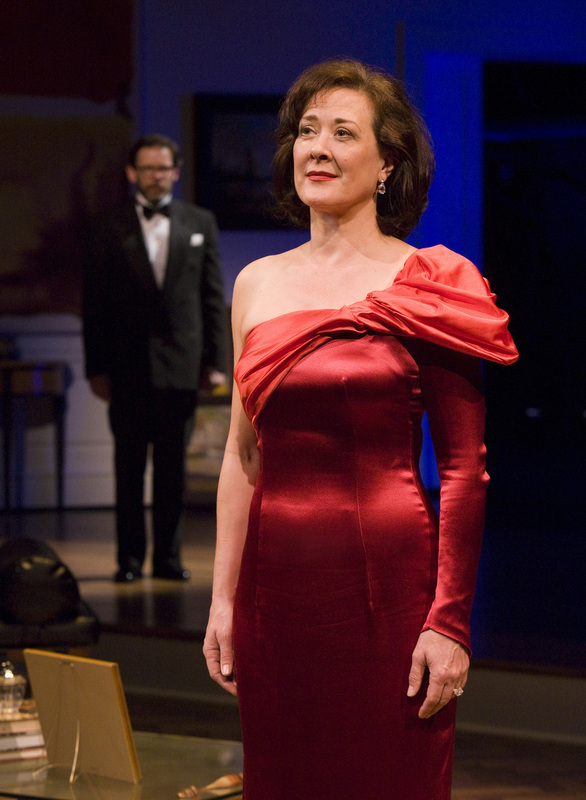 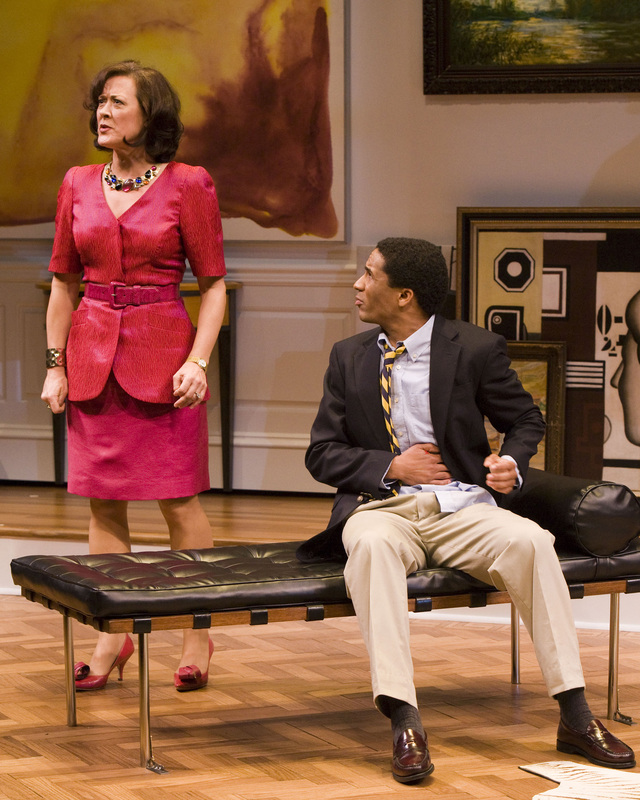 Karen Ziemba as “Ouisa,” with Thomas Jay Ryan (behind) as “Flan” in The Old Globe’s production of Six Degrees of Separation by John Guare, directed by Trip Cullman, playing in the Old Globe Theatre January 10 – February 15; photo by Craig Schwartz. 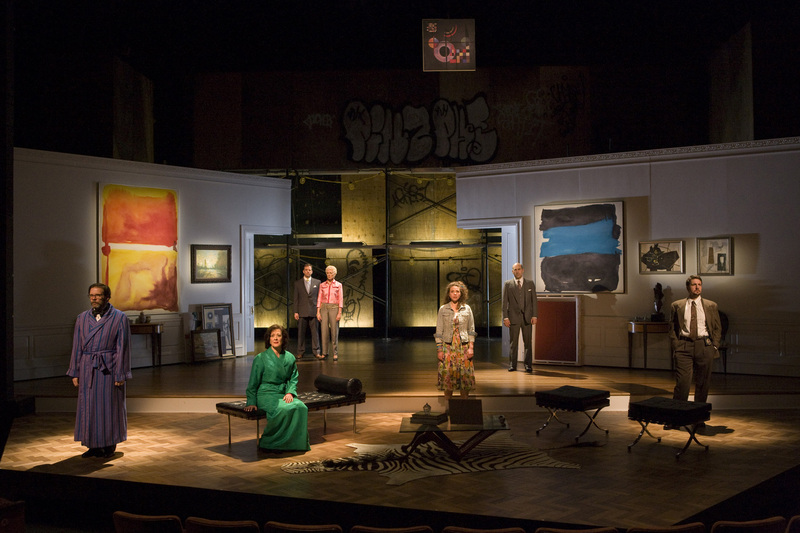 The Cast of The Old Globe’s production of Six Degrees of Separation by John Guare, directed by Trip Cullman, playing in the Old Globe Theatre January 10 – February 15; photo by Craig Schwartz. Karen Ziemba as “Ouisa” and Thomas Jay Ryan as “Flan” in The Old Globe’s production of Six Degrees of Separation by John Guare, directed by Trip Cullman, playing in the Old Globe Theatre January 10 – February 15; photo by Craig Schwartz. 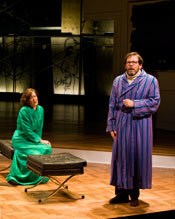 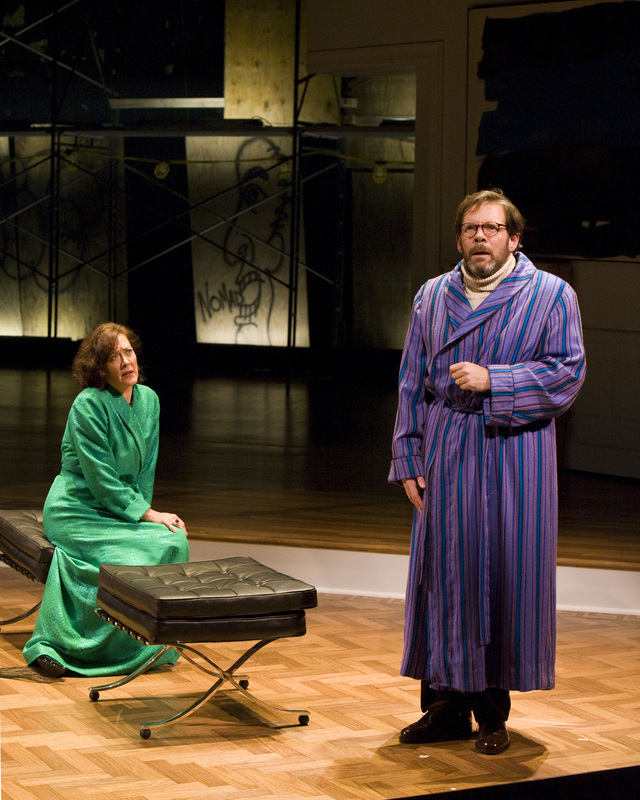 Karen Ziemba as “Ouisa” and Samuel Stricklen as “Paul” in The Old Globe’s production of Six Degrees of Separation by John Guare, directed by Trip Cullman, playing in the Old Globe Theatre January 10 – February 15; photo by Craig Schwartz.